A take on the not very known London-based black resistance movement that operated in the 70's, and the counter-intelligence team had the purpose of suppressing them. Where can you stream Guerrilla? On 2017-04-13 Drama TV Series Guerrilla first aired on Showtime. 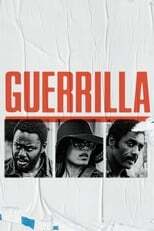 Written and created by John Ridley, and produced by Green Door Pictures & ABC Signature, Guerrilla has ended and last broadcasted on 2017-05-18.